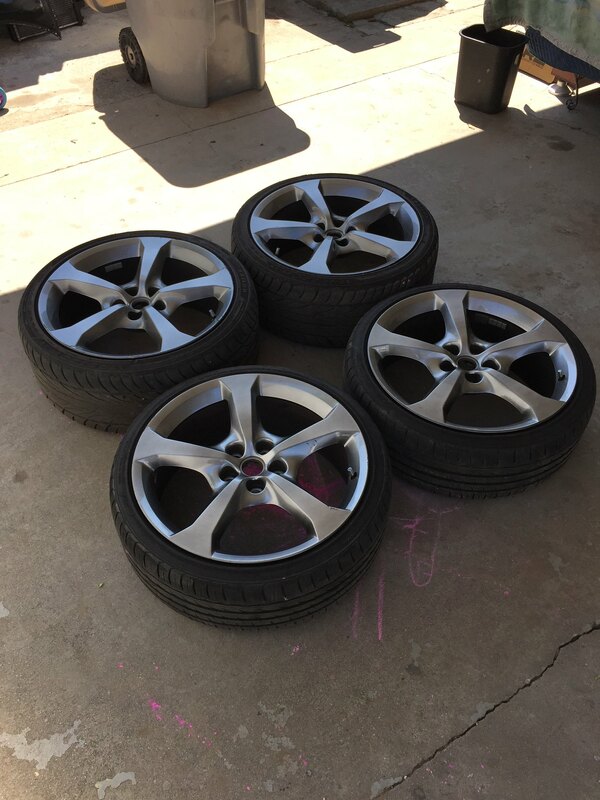 Here's a set of OEM Camaro SS wheels with a set of tires that are sized for our vehicles. 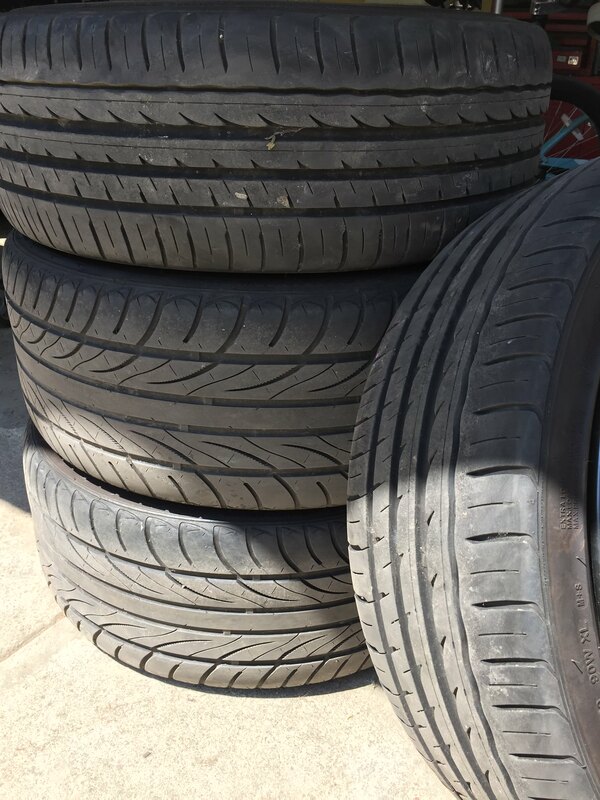 Tires have a good amount of life left. 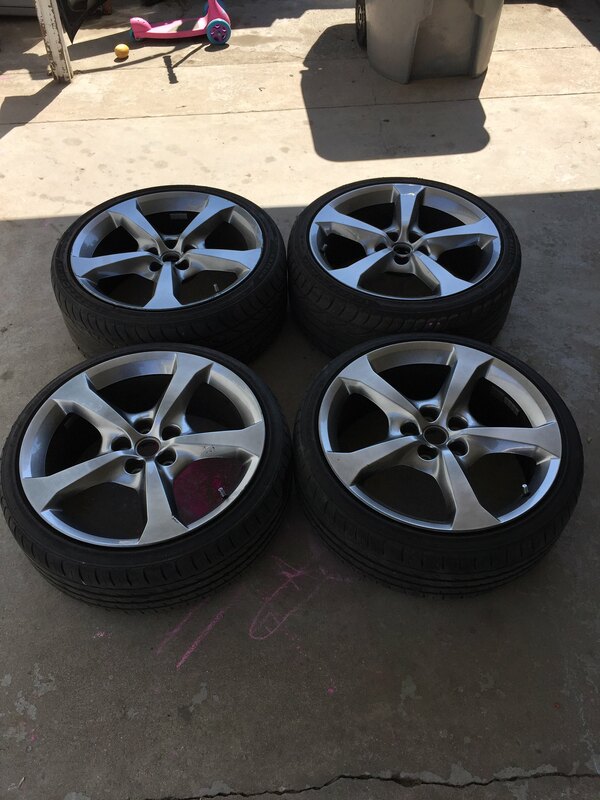 Wheels have some minor scuffs, nothing major. 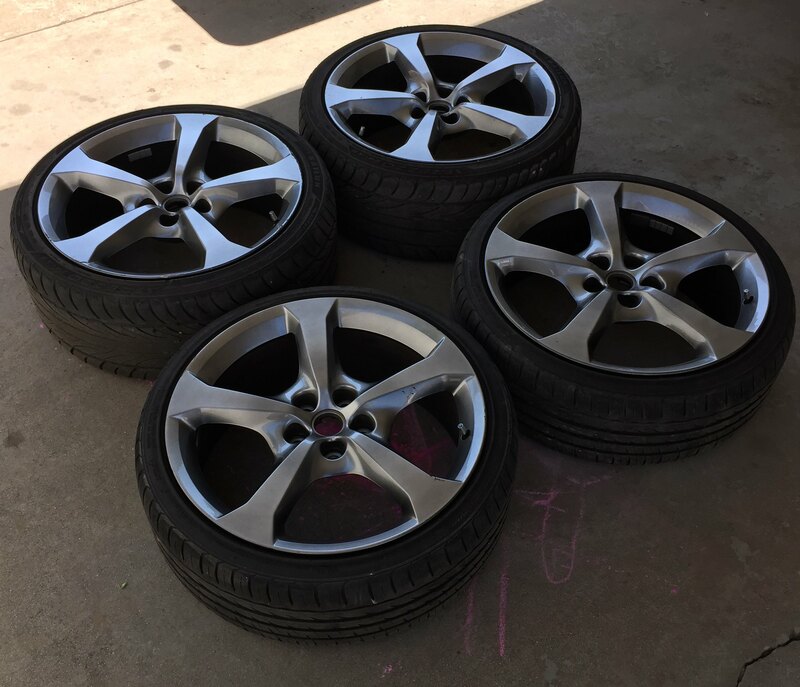 $500 plus shipping for all four with tires. KKARSTEN wrote: Bright sliver or midnight? Shipping estimate to 54911 Appleton, WI? Texted you. I'll take them. camrat68 wrote: Texted you. I'll take them.